The Carol Childs mysteries, by Nancy Cole Silverman, just keep getting better and better. Not only is Carol Childs in Beverly Hills near where a major jewelry heist has just happened, it’s very likely that Ms. Childs actually helped the robber escape. Being a reporter, Carol quickly reports in to her radio station since she has the scoop on the story, being the first media representative on the scene. But the radio station she works for isn’t very interested in her report — the station owner has changed the format to a chick-lite station (and the owner’s wife wants Carol’s job). Carol finds herself at odds with her FBI-boyfriend, Eric, who is working undercover on the case, and even if she wanted to back away from the story, the suspect from the jewelry heist calls in to the radio station to bait Carol, live on the air. Author Silverman starts this book out with a bang and never lets up. These books aren’t just mysteries … they are romantic mystery thrillers. And while this is the third book in the Carol Childs series, I believe this book could stand alone as a singular read – though I also believe that once you read this you will want to go back and read the first two books. Silverman weaves three different story-lines (the jewelry heist; the relationship with the FBI agent; the radio station changes) so smoothly and simply that the narrative flows and we don’t realize that the stories are not part of one larger story (and they aren’t – other than that they are all aspects of Childs’ life). There were a few moments in the mystery of robbery that seem a little too obviously laid out (for me), and being so obvious, I don’t quite follow why there isn’t more immediate action taken on it, but Silverman does explain this in the course of the story. This is a fun series and it is getting stronger with each book. this is highly recommended. Looking for a good book? 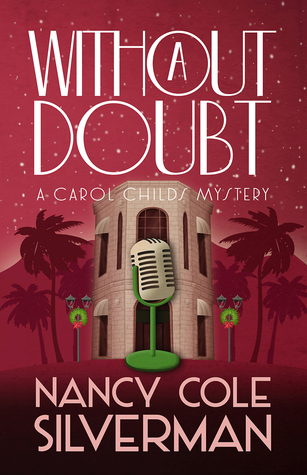 Without a Doubt is a Carol Childs mystery by Nancy Cole Silverman and is a delightful mystery that is part romance, part thriller and without a doubt, a good read.